This course is designed to introduce or reinforce basic laboratory skills that analysts utilise on a daily basis. We ensure that all staff are trained in basic laboratory skills such as weighing, pipetting, titration, volumetric work, moisture determination, pH determination, use of laboratory notebooks, etc. New laboratory staff need to be inducted and given training in basic laboratory skills but why waste valuable time and money preparing them in-house? 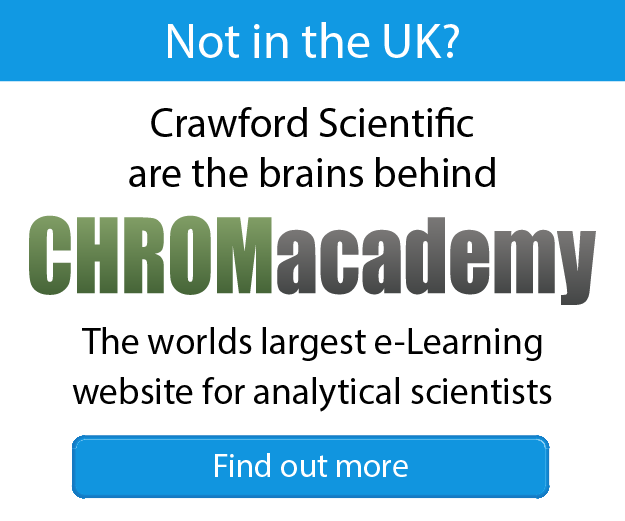 Crawford Scientific have the experience and know-how to design and implement effective training plans. Now that’s one less thing to think about. We will customise a program to your needs that incorporates existing SOPs and protocols so that new staff quickly become well versed in basic laboratory operations and are following best practice. We will also take the opportunity to review existing laboratory practices, ensuring that they are compliant with current regulatory guidelines and best practice. This course is designed for new analytical staff, but it can also be tailored around specific procedures and instrumentation to provide an invaluable refresher for the experienced user. It is assumed that you are familiar with the safety and quality standards which you are expected to adhere to on a daily basis. Background knowledge of different techniques, plus all the essentials of separation science, statistics, etc—all fully covered in the course.